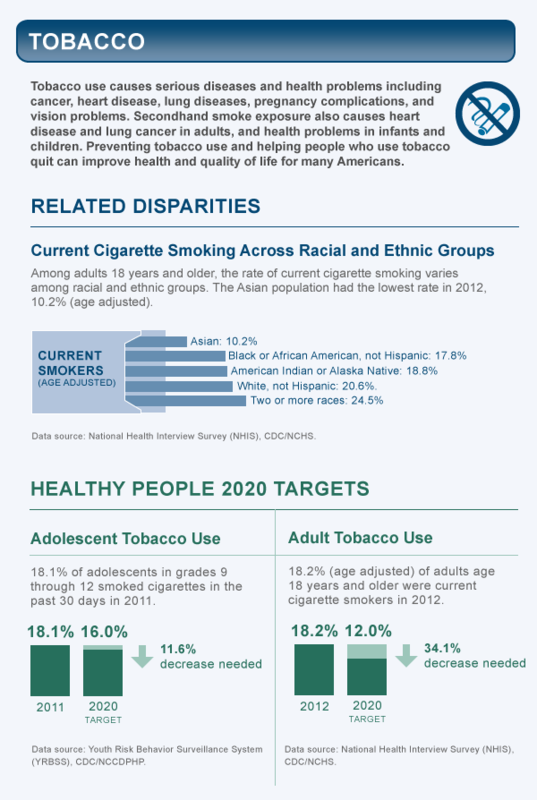 Among adults age 18 years and older, the rate of current cigarette smoking varies among racial and ethnic groups. The Asian population had the lowest rate in 2012, 10.2% (age adjusted). 18.2% (age adjusted) of adults age 18 years and older were current cigarette smokers in 2012.